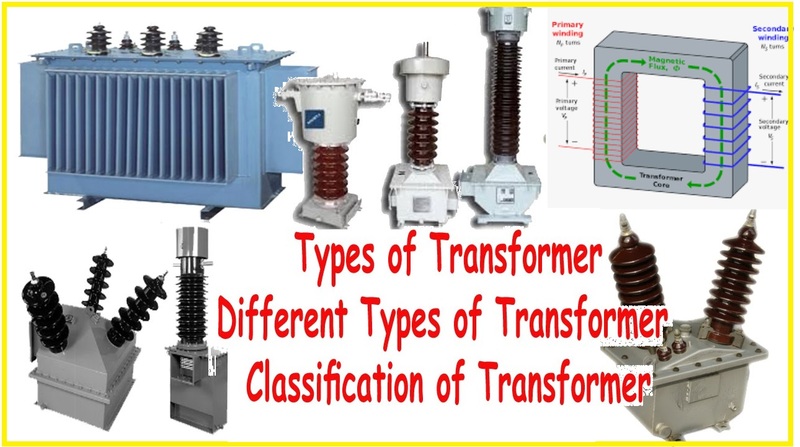 There are five categories of transformer explain. According to Type of supply. In core type transformer, windings are cylindrical former wound, mounted on the core limbs as shown in the figure above. The cylindrical coils have different layers and each layer is insulated from each other. Low voltage windings are placed nearer to the core, as they are easier to insulate. The coils are former wound and mounted in layers stacked with insulation between them. 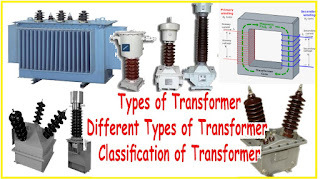 A shell type transformer may have simple rectangular form or it may have a distributed form. On a step-up transformer there are more turns on the secondary coil than the primary coil. The induced voltage across the secondary coil is greater than the applied voltage across the primary coil or in other words the voltage has been stepped-up. A step down transformer has less turns on the secondary coil that the primary coils. The induced voltage across the secondary coil is less the applied voltage across the primary coil or in other words the voltage is stepped-down. Single-phase transformers accept single-phase AC power and output single-phase AC power, typically at a higher or lower voltage level. Energy is transferred from one circuit to one or more circuits via electromagnetic induction. Three-phase electric power is a common method of alternating-current electric power generation, transmission, and distribution. It is a type of poly phase system and is the most common method used by electrical grids worldwide to transfer power. A transformers located directly next to a power plant is called GSU Generator Step-up Unit. A GSU transforms the electric power from the medium voltage of the generators to the high voltage transmission level. To balance power flow between parallel power lines, phase shifters can be used. Instrument transformers are high accuracy class electrical devices used to isolate or transform voltage or current levels. A current transformer is an electric device that produces an alternating current in its secondary which is proportional to the AC current in its primary. Voltage transformers VT, also called potential transformers PT, are a parallel connected type of instrument transformer. They are designed to present negligible load to the supply being measured and have an accurate voltage ratio and phase relationship to enable accurate secondary connected metering.